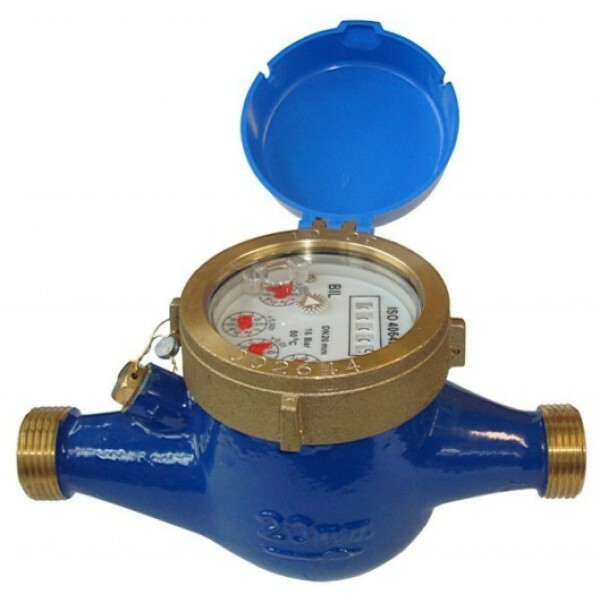 The HR pulse head water meters are used for measuring the volume of water passing through pipeline in irrigation systems. As water passes through the meter, water jets make the impeller rotate. The impeller’s rotations are proportional to quantity of water being metered and are magnetically transmitted to the register. INSTALLATION RECOMMENDATIONS: For an accurate reading, the meter requires 5 x pipe diameter of straight pipe before the inlet & 2 x pipe diameter after the outlet. Follow arrow direction, install in horizontal position & install a strainer upstream of meter to protect measuring element. Flush upstream line before connecting. The brass 'Y' strainer filters out larger to particles to protect the system from blockages and contamination.We suggest installing Brass 'Y' Strainers in Rainwater Harvesting systems before the pressure pump. Doing so protects the pump from any debris that may cause damage and protects any appliances further down the line from blocking up and caus.. The Galcon GSI is quite possibly the smartest irrigation controller on the market. As well as having a huge choice of programming options, the GSI is web based! So you can now completely optimize your landscape watering schedule from your PC using cloud technology.The controller comes with the features you'd expect from an irrigation contro..